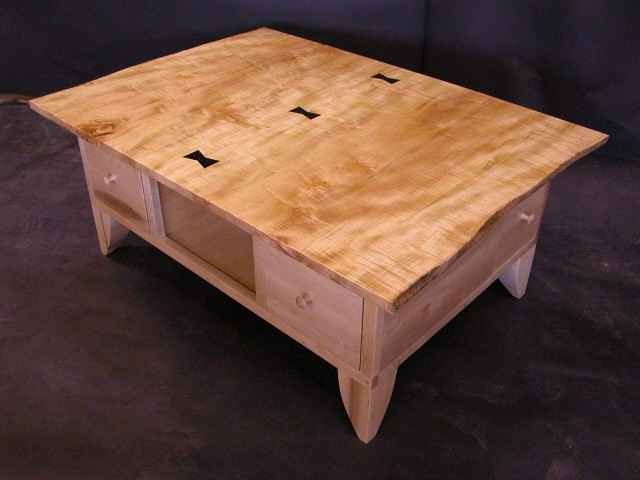 This curly maple coffee table has inlaid ebony butterflies in the top. The legs are curved and stout looking which adds to its appearance. This recycled Douglas fir dining table has straight legs that are about 2.5″ square. This Nakashima table base is simple and elegant. The base of this oak table has curved legs to give it a feminine appeal. This is a contemporary cedar table with solid paneled ends.